Car Wash Fundraiser for Camp Fees. 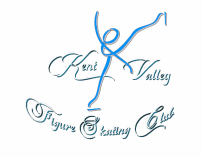 Kent Valley Figure Skating Club Members have the opportunity to help raise money to off set the cost of Skate Camp by selling Brown Bear Car Wash Tickets. Tickets are sold for $8 each and are checked out in packs of 5. Each pack is valued at $40, your skater will earn $30 towards their camp tuition out of each pack sold. You are allowed to accept donations which will go towards your skater's tuition. There are a few restrictions for selling the tickets. 2) Tickets may not be sold or advertised online. If you would like to mention it on Facebook you may do so, but it must be done generically. For example: Edythe is selling Car Wash tickets for $8 as a fundraiser to offset the cost of her Skate Camp for Kent Valley Figure Skating Club. Message our Fundraising Chair, Amanda Neilson at kvfscfundraising@gmail.com ​for more details.